Planned as a timely addendum to Edward Said’s Orientalism and post- colonial scholarship, Beyazit Akman’s Representation of Turks and Islam in British Literature series focuses on the rarely discussed case of the image of Ottomans and Islam in the works of three masters of the British canon. 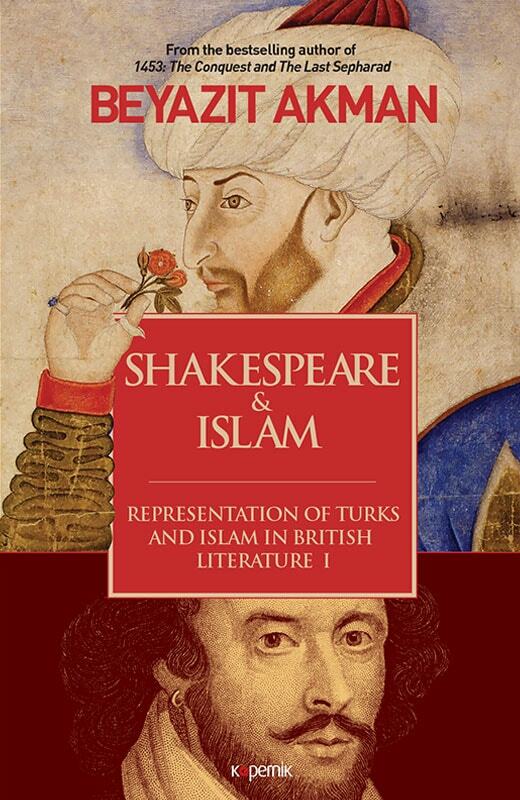 Shakespeare & Islam particularly focuses on the image of Turks in Shakespeare’s plays and historicizes the ambivalent nature of this image in the context of the Elizabethan era, the classical age of the Ottomans and their relations with Europe, and the thousand-year Christian-Muslim relationship. Shakespeare’s plays, as a product of the early modern era, a period when the interactions between Elizabethans and Ottomans were at their zenith, offer invaluable material for understanding and complicating assumptions about the Muslim other. Akman explains how and why Shakespeare reproduces and creates the archetypal Turk as a derogatory term despite major, common, and more accurate conceptions and knowledge about Turks in England at the time. Without falling into the risks of applying post-colonial theory to a pre- colonial context, Akman utilizes the tools of orientalist scholarship and to bend its parameters with case-specific historicism in the context of the relations between the British and the Ottomans during the early modern era. By doing so at this specific time in history, in the post-9/11 era, Akman also aims to hint at the roots of the anti-Islamic, orientalist sentiment, which re-emerged in and transformed Western discourse in the past decades. Understanding the existence of a tradition behind the (mis)representations of the Middle Eastern cultures and the politics of representation between Europe and Islam before modern times is vital to understanding the world we live in now. Akman expands and builds on Said’s theory of orientalism by creating more nuanced analyses and observations regarding the East-West binary and representations of Middle Eastern cultures in British discourse as theorized by scholars such as Nabil Matar and Gerald MacLean. Arguing that traditional parameters of post-colonial scholarship cannot be used in the case of the Ottomans, Akman applies the concept of Ottomanism (as introduced by MacLean) to make sense of the ambiguous textual attitudes in British writing from the late sixteenth through the eighteenth century that depict Ottomans and Islam. Since the Ottomans were neither colonized by the British nor part of the British Empire during the early modern era and a considerable part of the eighteenth century, reading pre-1800 British texts using post-colonial scholarship requires sensitivity to the unique situation of Turkish culture that is missing in Said’s observations about the East and West. The Representation of Turks and Islam in British Literature series will help scholars from diverse disciplines in the humanities such as literature, comparative studies, history, political science, and anthropology. This series is planned to be an essential reference not only in the U.S. and U.K., but in many university libraries in Europe and the Middle East where it is crucial to understand Ottoman heritage.